ConferenceSeries Ltd is overwhelmed to announce the commencement of 5th World Congress on Catalysis and Chemical Engineering , which is to be held during September 5-6, 2018 at Tokyo, Japan. On this great gathering, organizing committee invites participants from all over the globe to take part in this annual conference with the theme “Innovation and Integration to Shape the Future”. Catalysis 2018 aims at sharing new ideas and new technologies amongst the professionals, industrialists and students from research areas of chemical engineering to share their recent innovations and applications and indulge in interactive discussions and technical sessions at the event. The conference will also have a space for companies and/or institutions to present their services, products, innovations and research results. Catalysis 2018 plays a vital role in our lives because of its uniqueness in properties and extended application in various industries. These are the basis of modern science and technology. Chemical Engineering is at the heart of many technological developments that touch our lives and find applications synthetic replacement for those resources as well as materials that are low in supply. In overall, it can be said that chemical engineers will be able to make very crucial contributions to the improvement in addition to the maintenance of the quality of our lives. 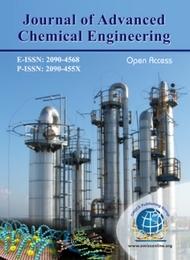 Chemical Engineering techniques are used for the production of usable, high quality products such as fibres, fabrics, paints, medical drugs, biomaterials, gasoline, lubricants etc used in various industries such as textile, food, plastics, automotive, aerospace, petroleum, oil and gas, biomedical, biotechnology and pharmaceuticals, thereby increasing the scope of Chemical Engineering. World Congress on Chemical Engineering and Catalysis-2018 which is going to be the biggest conference dedicated to Chemical Engineering and Catalysis professionals providing a premier technical forum for reporting and learning about the latest new generation technologies developed during the course of time along with discussing their applications. 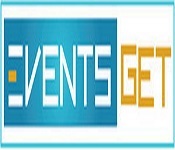 Events include hot topics presentations from all over the world and professional networking with industries, leading working groups and panels. Meet Your Objective Business sector With individuals from and around the globe concentrated on finding out about Chemical Engineering, this is the best chance to achieve the biggest collection of members from everywhere throughout the World. 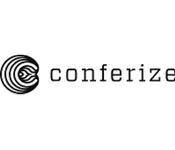 Conduct shows, disperse data, meet with current, make a sprinkle with another product offering, and get name acknowledgment at this occasion. Widely acclaimed speakers, the latest methods, strategies, and the most up to date overhauls in Polymer science and Engineering are signs of this meeting. 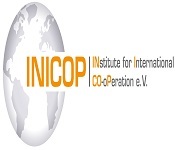 Target Audience will be personnel from both industrial and academic fields which include; CEOs, COOs, Directors, Vice Presidents, Co-directors, Chemists, Managing Directors, Industry Safety Officers, Doctorates, Professors, Post Doctorate Fellows, Vendors of Consumer Products/ Managers, Industrial Scientists, Students from the related fields. All aspects of catalysis and includes heterogeneous and homogeneous catalysis, and biocatalysts. Modern investigation of catalytic reactions requires a multi-technique approach where each experimental tool, as well as theoretical models, provides specific information. X-ray photoelectron spectroscopy (XPS) is undoubtedly one of the most important tools for the characterization of catalytic systems because of its surface and chemical sensitivity. In the last decades, the full implementation of nanotechnology has strongly influenced also the world of catalysis making a microscopic approach mandatory for many spectroscopic techniques. The scanning photoelectron microscopy (SPEM) combines XPS with spatial resolution, it is a powerful technique to image and probe chemical and electronic properties of microstructure and nanostructure and domains. 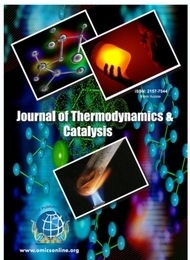 The energy content and transfer of any catalytic processes is easily understood by applying the principles of thermodynamics which provides an insight whether the process is attainable or not. Therefore, thermodynamics is used to describe the macroscopic behavior of chemical systems through understanding the properties of atoms and molecules. Homogeneous or heterogeneous transition metal catalyst is another hot area of research especially in industrial applications. 2nd Global Catalysis, Chemical Engineering Conference, September 13-15, 2018, Roam, Italy; 4th International Chemical Engineering Conference, September 17-18, 2018 Vancouver, British Columbia, Canada; 5th International Advances in Chemical Engineering & Technology Conference, October 4-5, 2018 London, UK; 11th World Petrochemistry, Geology and Chemical Engineering Congress, November 09-10, 2018 Birmingham, Alabama, USA; 5th World Chemical Engineering and Catalysis Congress, August 28-30, 2018 Paris, France; World Petroleum Processing and Industrial Chemistry Congress, November 09-10, 2018 Birmingham, Alabama, USA; 12th International Scientific Bases for the Preparation of Heterogeneous Catalysts Symposium, July 8-12, 2018 Louvain-La-Neuve, Belgium; 7th EuCheMS Chemistry Congress, 26–30 August 2018 ACC Liverpool, UK; 2nd International Catalysis and Chemical Engineering, February 19-21, 2018 Paris, France; 10th International Environmental Catalysis Conference, September 23-27, 2018 Tianjin, China; 20th International Catalysis Conference, June 21 - 22, 2018 DUBAI, UAE . Association of Chemical Engineers of Uruguay, Colombian Association of Chemical Engineering, Brazilian Association of Chemical Engineering, Argentinian Association for Chemical Engineers, Society of Chemical Engineers New Zealand, Australian Federation of Chemical Engineers, Mexican Institute of Chemical Engineers (IMIQ), National Organization for the Professional Advancement of Black Chemists and Chemical Engineers(NOBCChE), Canadian Society for Chemical Engineering(CSChE), Association of Energy Engineers (AEE). Catalysts are substances which, when added to a response, increment the rate of reaction by furnishing other response pathway with a lower activation energy(Ea). They do this by advancing legitimate introduction between responding particles. In natural chemistry, catalysts are known as chemicals. Catalysis impacts the earth by expanding the proficiency of mechanical procedures, however catalysis additionally assumes an immediate part in nature. There is reactant part of chlorine free radicals in the breakdown of ozone. These radicals are framed by the activity of bright radiation on chlorofluorocarbons (CFCs). A standout amongst the most clear uses of catalysis is the hydrogenation (response with hydrogen gas) of fats utilizing nickel catalyst to create margarine. Numerous different foodstuffs are prepared through bio catalysis. 2nd Global Catalysis, Chemical Engineering Conference, September 13-15, 2018, Roam, Italy; 4th International Chemical Engineering Conference, September 17-18, 2018 Vancouver, British Columbia, Canada; 5th International Advances in Chemical Engineering & Technology Conference, October 4-5, 2018 London, UK; 11th World Petrochemistry, Geology and Chemical Engineering Congress, November 09-10, 2018 Birmingham, Alabama, USA; 5th World Chemical Engineering and Catalysis Congress, August 28-30, 2018 Paris, France; World Petroleum Processing and Industrial Chemistry Congress, November 09-10, 2018 Birmingham, Alabama, USA; 12th International Scientific Bases for the Preparation of Heterogeneous Catalysts Symposium, July 8-12, 2018 Louvain-La-Neuve, Belgium; 7th EuCheMS Chemistry Congress, 26–30 August 2018 ACC Liverpool, UK; 2nd International Catalysis and Chemical Engineering, February 19-21, 2018 Paris, France; 10th International Environmental Catalysis Conference, September 23-27, 2018 Tianjin, China; 20th International Catalysis Conference, June 21 - 22, 2018 DUBAI, UAE. European Federation of Chemical Engineering, Israel Institute of Chemical Engineers (IIChe), International Plasma Chemistry Society, European Petrochemical Association, Federation of European Biochemical Societies, Nigerian Society of Chemical Engineers, Danish Chemical Society, Colombian Association of Chemical Engineering Environmental and Energy Study Institute, Czech Society of Chemical Engineering, Indian Institute of Chemical Engineers (IIChe). Zeolites are the most important heterogeneous catalysts with numerous large-scale applications including cracking, petrochemistry, fine chemical synthesis, and environmental protection. This themed issue evidences the significant impact of zeolites in catalysis, new trends in catalytic applications of zeolites and, in particular, their potential in catalysis. Zeolitesis used as catalysts in petrochemical industries for cracking of hydrocarbons and isomerization. An important zeolite catalyst used in the petroleum industry is ZSM-5. It converts alcohols directly into gasoline (petrol) by dehydrating them to give a mixture of hydrocarbons. Electron microscopic investigations of zeolites are reviewed. Scanning electron microscopy can show the appearance of zeolite crystals, e.g. their sizes and morphologies, and can also be used to look into the cores of crystals, revealing any abnormal microstructures, which often help us to elucidate actual crystal growth mechanisms. High resolution transmission electron microscopy is a powerful tool to directly image many pore systems and local defects in zeolites. American Institute of Chemical Engineers (AIChE), American Chemical Society (ACS), Société Française de Génie des Procédés (SFGP), Institution of Chemical Engineers (IChemE), Associazione Italiana Di Ingegneria Chimica (AIDIC), European Federation of Chemical Engineering (EFCE), Society of Chemical Engineers of Nepal, Society of Chemical Engineers Japan (SCEJ), Nigerian Society of Chemical Engineers (SAIChE), Ethiopian Society of Chemical Engineers (ESChE). The impact of bio catalysis in the future will be the enlarge of ability to use enzymes to catalyze chemical reactions in industrial processes, including the manufacture of drug material, flavors, fragrances, electronic chemicals, polymers—chemicals that literally impact almost every facet of your life. It has become a substitute method of choice for the production of fine chemicals at high yields and excellent selectivity under mild reaction condition. 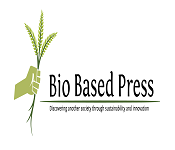 In adopting biocatalysis as a mainstream technology for chemical production, is introducing a technology that is greener, reduces pollution and cost, and creates greater sustainability Environmental catalysis and Nano Catalysis. Biotransformation is a chemical modification (or modifications) of chemical compounds such as nutrients amino acids, toxins and drugs in the body by an organism ending in the production of mineral compounds like CO2, NH4+, H2O or water-soluble compounds so that it can be easily eliminated from the body. Association of Chemical Engineers of Uruguay, Colombian Association of Chemical Engineering, Brazilian Association of Chemical Engineering, Argentinian Association for Chemical Engineers, Society of Chemical Engineers New Zealand, The Australian and New Zealand Federation of Chemical Engineers (ANZFChE), Mexican Institute of Chemical Engineers (IMIQ), National Organization for the Professional Advancement of Black Chemists and Chemical Engineers (NOBCChE), Canadian Society for Chemical Engineering (CSChE), Association of Energy Engineers (AEE). Chemical Engineering Conference 2018 addresses the physical science application (e.g., chemistry and physics), and life sciences with mathematics and economics, the process of changing raw materials or chemicals into more useful or valuable forms. In addition to develop useful materials, modern chemical engineering is also concerned with pioneering valuable new materials and new methods such as nanotechnology, fuel cells and biomedical engineering. The global chemical industry and market analysis, estimated at U.S. $2.4 trillion, is one of the fastest growing business sectors of the manufacturing industry. It also shipped 3.4 billion dollars’ worth of chemicals globally across regions in 2009. Society of Chemical Engineers of Nepal, Society of Chemical Engineers Japan (SCEJ), Danish Chemical Society, Colombian Association of Chemical Engineering Environmental and Energy Study Institute, Society of Chemical Engineers New Zealand, The Australian and New Zealand Federation of Chemical Engineers (ANZFChE), Mexican Institute of Chemical Engineers (IMIQ), Ethiopian Society of Chemical Engineers (ESChE), Canadian Society for Chemical Technology, Chinese-American Chemical Society China. European Federation of Chemical Engineering (EFCE), Society of Chemical Engineers New Zealand, Belgian Society of Biochemistry Belgium, Korean Chemical Society, American Solar Energy Society (ASES), Association of Chemical Engineers of Uruguay, Colombian Association of Chemical Engineering, American Chemical Society (ACS), Colombian Association of Chemical Engineering Environmental and Energy Study Institute, Chinese-American Chemical Society China. Environmental chemistry is the logical investigation of the synthetic and biochemical phenomena that happen in natural places. It can be characterized as the investigation of the sources, responses, transport, impacts, and fates of chemical species noticeable all around, soil, and water conditions; and the impact of human action and natural action on these. Environmental chemistry is an interdisciplinary science that incorporates atmospheric, aquatic and soil chemistry, and in addition intensely depending on logical science and being identified with ecological and different territories of science. Environmental chemistry is the investigation of synthetic procedures happening in the earth which are affected by mankind's exercises. Green chemistry, likewise called sustainable chemistry, is a territory of chemistry and chemical engineering concentrated on the outlining of items and procedures that limit the utilization and age of risky substances. Environmental chemistry centers around the impacts of polluting chemicals on nature, green chemistry centers around mechanical ways to deal with preventing pollution and decreasing utilization of nonrenewable assets. American Chemical Society (ACS), Société Française de Génie des Procédés (SFGP), Institution of Chemical Engineers (IChemE), European Federation of Chemical Engineering, Israel Institute of Chemical Engineers (IIChe), The Australian and New Zealand Federation of Chemical Engineers (ANZFChE), Mexican Institute of Chemical Engineers (IMIQ), Norwegian Chemical Society, Belgian Society of Biochemistry Belgium, Society of Chemical Engineers New Zealand. Catalytic materials are those solids that enable the substance response to happen proficiently and cost-adequately. photocatalytic properties of metal oxide nanoparticles enriched with noble metal clusters which show great oxidative properties upon illumination with UV or visible light. Our materials support chemical reactions that can degrade organic contaminants and other pollutants, as well as pathogens. Porous materials consisting of organic linkers connected by metal ions provide framework scaffolds for heterogeneous catalysis, which is based on the organic, or inorganic components. Society of Chemical Engineers New Zealand, Belgian Society of Biochemistry Belgium, American Chemical Society (ACS), Société Française de Génie des Procédés (SFGP), Ethiopian Society of Chemical Engineers (ESChE), Korean Chemical Society, American Solar Energy Society (ASES), Indian Institute of Chemical Engineers (IIChe), Chinese-American Chemical Society China, Czech Society of Chemical Engineering. Organometallic chemistry explores the chemistry of the often be wildering variety of compounds featuring metal-carbon bonds. A field that has underpinned the development of new synthetic methods and materials, it is also central to our understanding of catalysis. Organometallic compounds are widely used both stoichiometrically in research and industrial chemical reactions. The novel metal free catalysts are called organocatalysts, for the synthesis of industrially relevant products with CO2 as a C1-building block. Combining those catalysts with metal-catalyzed or enzyme-catalyzed procedures in (sequential) one pot reactions leads to innovative and sustainable catalytic systems with high selectivity and energy efficiency respectively. These alternative methods, taking steps in the upstream and downstream phases, are targeted at changing and extending the raw material base, utilizing CO2. Colombian Association of Chemical Engineering Environmental and Energy Study Institute, Czech Society of Chemical Engineering, New Zealand Federation of Chemical Engineers (ANZFChE), Mexican Institute of Chemical Engineers (IMIQ), Société Française de Génie des Procédés (SFGP), Institution of Chemical Engineers (IChemE), American Solar Energy Society (ASES), Association of Chemical Engineers of Uruguay, Society of Chemical Engineers New Zealand, The Australian and New Zealand Federation of Chemical Engineers (ANZFChE). Korean Chemical Society, American Solar Energy Society (ASES), Canadian Society for Chemical Technology, Czech Society of Chemical Engineering, American Chemical Society (ACS), Société Française de Génie des Procédés (SFGP), Society of Chemical Engineers New Zealand, Belgian Society of Biochemistry Belgium, New Zealand Federation of Chemical Engineers (ANZFChE), Mexican Institute of Chemical Engineers (IMIQ). In the chemical industry and industrial research, catalysis assume an essential part. Distinctive catalysts are in consistent advancement to satisfy financial, political and natural requests. When utilizing catalyst, it is conceivable to replace a contaminating chemical reaction with an all the more environmentally friendly alternative. Today, and in future, this can be crucial for the chemical industry. For an organization, a new and improved catalyst can be an enormous preferred standpoint for a competitive assembling cost. It's amazingly costly for an organization to shut down the plant because of a blunder in the catalyst, so the right choice of a catalyst or another change can be critical to industrial achievement. Australian and New Zealand Federation of Chemical Engineers (ANZFChE), Mexican Institute of Chemical Engineers (IMIQ), Society of Chemical Engineers New Zealand, Belgian Society of Biochemistry Belgium, European Federation of Chemical Engineering (EFCE), Society of Chemical Engineers New Zealand, Society of Chemical Engineers Japan (SCEJ), Danish Chemical Society, Colombian Association of Chemical Engineering Environmental and Energy Study Institute, Chinese-American Chemical Society China. Catalysis has turned into a key issue in tackling a considerable lot of the present energy challenges. Multidisciplinary advances from chemistry, physics and materials science have given profound knowledge into catalyst synthesis, structural and compositional alteration, and robotic comprehension with sub-atomic and nuclear level exactness. At the nanoscale, the surfaces or interfaces of a catalytic material structure strongly impact the physical and compound properties of the material because of high surface-to-volume proportion. One of the specialized examination, describes the mechanical assembly as a "procedure and hardware to get exothermal reactions, specifically from nickel and hydrogen". The gadget worked by implanting heated hydrogen into nickel powder, transmuting it into copper and delivering abundance heat. Society of Chemical Engineers New Zealand, Society of Chemical Engineers Japan (SCEJ), Korean Chemical Society, American Solar Energy Society (ASES), The Australian and New Zealand Federation of Chemical Engineers (ANZFChE), American Chemical Society (ACS), Société Française de Génie des Procédés (SFGP), Society of Chemical Engineers New Zealand, Chinese-American Chemical Society China, Society of Chemical Engineers New Zealand. A catalyst is another substance than reactants products added to a reaction system to alter the speed of a chemical reaction approaching a chemical equilibrium. It interacts with the reactants in a cyclic manner promoting perhaps many reactions at the atomic or molecular level, but it is not consumed. Another reason for using a catalyst is that it promote the production of a selected product. A catalyst that is in a separate phase from the reactants is said to be a heterogeneous, or contact, catalyst. Contact catalysts are materials with the capability of adsorbing molecules of gases or liquids onto their surfaces. An example of heterogeneous catalysis is the use of finely divided platinum to catalyze the reaction of carbon monoxide with oxygen to form carbon dioxide. This reaction is used in catalytic converters mounted in automobiles to eliminate carbon monoxide from the exhaust gases. Association of Chemical Engineers of Uruguay, Colombian Association of Chemical Engineering, American Chemical Society (ACS), Colombian Association of Chemical Engineering Environmental and Energy Study Institute, Chinese-American Chemical Society China, Danish Chemical Society, Société Française de Génie des Procédés (SFGP), Society of Chemical Engineers New Zealand, Belgian Society of Biochemistry Belgium, Ethiopian Society of Chemical Engineers (ESChE). The electron-opening pair formation that happens at the interface between a semiconductor and an endless supply of light prompts oxidation or reduction reactions of solution species. The standards of such photo driven processes are depicted and in addition uses of semiconductors in electrochemical cells and as particulate frameworks for doing heterogeneous photocatalysis and photoelectrosynthesis. photocatalysis is a reaction which utilizes light to activate a substance which adjusts the rate of a chemical reaction without being involved itself. The photocatalyst is the substance which can adjust the rate of chemical reaction utilizing light illumination. new photoreactor that should discover wide use in organic synthesis. It has higher- power LEDs than most homebrew setups, and the reaction chamber is streamlined for exposure, so in numerous reactions it prompts shorter circumstances and higher yields. 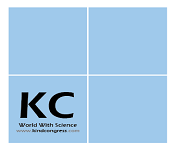 Korean Chemical Society, American Solar Energy Society (ASES), Canadian Society for Chemical Technology, Chinese-American Chemical Society China, European Federation of Chemical Engineering, Israel Institute of Chemical Engineers (IIChe), International Plasma Chemistry Society, European Petrochemical Association, Federation of European Biochemical Societies, Nigerian Society of Chemical Engineers. Chemical kinetics is key for understanding various procedures, for instance how food is metabolized, how pharmaceuticals assume a delightful part in the biological system, and how pollutants which are delivered by gas ignition are changed over for release into the air. Chemical Kinetics and Catalysis addresses this difficulty and gives a appropriate content to the up and coming generation of researchers in this field. The atomic expansion of hydrogen particle to ethylene is a prototype of symmetry forbidden reaction. Besides, late hypothetical computations have demonstrated that the obstruction for a lessened symmetry path isn't high, therefore in this procedure catalysis for the response is in particular. Society of Chemical Engineers Japan (SCEJ), Nigerian Society of Chemical Engineers, Danish Chemical Society, Colombian Association of Chemical Engineering Environmental and Energy Study Institute, Nigerian Society of Chemical Engineers (SAIChE), Ethiopian Society of Chemical Engineers (ESChE), European Federation of Chemical Engineering (EFCE), Society of Chemical Engineers of Nepal, Society of Chemical Engineers. Building up vibrational spectroscopy in catalysis incorporates the usage of high- pressure in-situ infrared spectroscopy and the optimization of the experimental set-up, and additionally the advancement and use of projects for deteriorating vibrational spectra. Calculated vibrational spectra support the understanding of estimated spectra and enable expectations to be made about the affectability of IR spectroscopy in catalytic reactions. The vibrational properties can be correlated with those from NMR spectroscopy and cast light on interesting relationships between structure and properties. 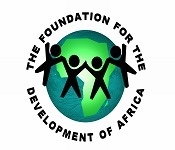 Control at Source: It involves suitable alterations in the choice of raw materials and process in treatment of exhaust gases before finally discharged and increasing stock height up to 38 metres in order to ensure proper mixing of the discharged pollut­ants. Selection of Industry Site: The industrial site should be properly examined considering the climatic and topographical characteristics before setting of the industry. Treatment of Industrial Waste: The industrial wastes should be subjected to proper treatment before their discharge.4. Plantation: Intensive plantation in the region considerably reduces the dust, smoke and other pollutants.5. Stringent Government Action: Government should take strin­gent action against industries which discharge higher amount of pollutants into the environment than the level prescribed by Pollu­tion Control Board. Ethiopian Society of Chemical Engineers (ESChE), European Federation of Chemical Engineering (EFCE), European Federation of Chemical Engineering, Israel Institute of Chemical Engineers (IIChe), Société Française de Génie des Procédés (SFGP), Society of Chemical Engineers New Zealand, Chinese-American Chemical Society China, International Plasma Chemistry Society, European Petrochemical Association, Federation of European Biochemical Societies. Enzymes are the biological substance or organic macromolecules that are created by a living organism which goes about as a catalyst to achieve a particular biochemical reaction. These resemble the chemical catalysts in a compound reaction which accelerate the organic/biochemical reactions inside and also outside the cell. Enzymes are the large biomolecules that are required for the various compound interconversions that sustain life. They quicken all the metabolic procedures in the body and do a specific task. Enzymes are very effective, which can expand reaction rates by 100 million to 10 billion times speedier than any ordinary chemical reaction. Enzyme engineering or protein engineering is the way toward planning proteins or catalysts by changing the arrangement of amino acids through recombinant DNA transformation. Société Française de Génie des Procédés (SFGP), Institution of Chemical Engineers (IChemE), American Solar Energy Society (ASES), Association of Chemical Engineers of Uruguay, International Plasma Chemistry Society, European Petrochemical Association, Federation of European Biochemical Societies, American Chemical Society (ACS), Société Française de Génie des Procédés (SFGP), Society of Chemical Engineers New Zealand, Colombian Association of Chemical Engineering Environmental and Energy Study Institute. Computational catalysis is a branch of chemistry that uses computer simulation to help with taking care of chemical issues. It uses techniques for theoretical chemistry, fused into proficient system programs, to compute the structures and properties of molecules and solids. Computational devices in view of quantum mechanics are utilized to associate the composition, structure, and reaction environment to elementary reaction rates, empowering reasonable outline of new materials and frameworks. computational catalysis is normally used when a scientific strategy sufficiently built up that it can be computerized for usage on a computer. Colombian Association of Chemical Engineering, Brazilian Association of Chemical Engineering, Argentinian Association for Chemical Engineers, Society of Chemical Engineers New Zealand, The Australian and New Zealand Federation of Chemical Engineers (ANZFChE), Mexican Institute of Chemical Engineers (IMIQ), Korean Chemical Society, American Solar Energy Society (ASES), Canadian Society for Chemical Technology, Chinese-American Chemical Society China. Colloid and surface science examine traverses an extensive variety of themes including organic collaborations at surfaces, sub-atomic gathering of specific surfaces, part of surface science in microelectronics and catalysis, tribology, and colloidal material science in the context of crystallization and suspensions; fluid interfaces; adsorption; surface parts of catalysis; scattering readiness, characterization and stability; pressurized canned products, foams and emulsions; surfaces powers; micelles and microemulsions; light dissipating and spectroscopy; nanoparticles; new material science; detergency and wetting; thin films, fluid films and bilayers; surfactant science; polymer colloids; rheology of colloidal and scatter frameworks; electrical phenomena in interfacial and disperse frameworks. 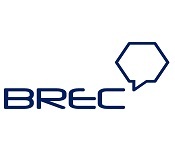 Israel Institute of Chemical Engineers (IIChe), International Plasma Chemistry Society, European Petrochemical Association, Federation of European Biochemical Societies, Nigerian Society of Chemical Engineers, Danish Chemical Society, Society of Chemical Engineers New Zealand, Belgian Society of Biochemistry Belgium, Norwegian Chemical Society, Belgian Society of Biochemistry Belgium. Catalysis is the expansion in the rate of a synthetic response because of the cooperation of an extra substance called a catalyst. As a rule, responses happen speedier with a catalyst since they require less enactment vitality. Moreover, since they are not expended in the catalyzed response, impetuses can keep on acting over and over. Frequently just little sums are required on a basic level. A portion of the biggest scale chemicals are delivered by means of reactant oxidation, frequently utilizing oxygen. Cases incorporate nitric corrosive (from alkali), sulfuric corrosive (from sulfur dioxide to sulfur trioxide by the load procedure), terephthalic corrosive from p-xylene, and acrylonitrile from propane and smelling salts. Many fine chemicals are readied by means of catalysis; techniques incorporate those of overwhelming industry and additionally more specific procedures that would be restrictively costly on a vast scale. Cases incorporate the Heck response, and Friedel-Crafts responses. Since most bioactive mixes are chiral, numerous pharmaceuticals are created by enantioselective catalysis (synergist hilter kilter amalgamation). In chemistry, homogeneous catalysis will be catalysis in a solution by a solvent catalyst. Entirely, homogeneous catalysis alludes to catalytic reactions where the catalyst is in same stage from the reactants. Homogeneous catalysis applies to reactions in the gas stage and even in solids. Control over the local chemical environment condition of a particle can be accomplished by encapsulation in supramolecular host systems. In supramolecular catalysis, this control is utilized to gain preferences over established homogeneous catalysis in bulk arrangement. Two of the fundamental points concern impacting reactions as far as substrate and product selectivity. Because of size and additionally shape recognition, substrate selective transformation can be figured it out. Polymer engineering is generally an engineering field that designs, analyses, or modifies polymer materials. Polymer engineering covers aspects of the petrochemical industry, polymerization, structure and characterization of polymers, properties of polymers, compounding and processing of polymers and description of major polymers, structure property relations and applications. 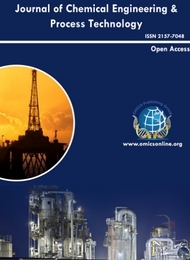 Petrochemical engineering is a branch of Chemical Engineering which deals with operations involved in refining petroleum or crude oil by the use of advanced technology. 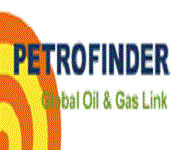 The course also includes extraction of crude petroleum obtained from the core of earth. Students learn about the mechanism and techniques involved in activities like exploration, production and exploitation of oil or natural gases. After the completion of undergraduate and postgraduate programmes in petroleum engineering, students can work in job profiles like petroleum geologists, drilling engineers, reservoir engineers and production engineers. Petroleum engineering is the field of engineering science that involves locating and accessing reserves of natural gas. The course includes subjects like Reaction Engineering, Heat Transfer, Mass Transfer, Fluid Dynamics, Thermodynamics, Transport Phenomena are bridged with special subjects like Petrochemical Processes, Refinery operations with due weight-age on Numerical Computation Process Control, Modelling & Simulation. The interdisciplinary field of materials science, also commonly termed materials science and engineering is the design and discovery of new materials, particularly solids. The intellectual origins of materials science stem from the Enlightenment when researchers began to use analytical thinking from chemistry, physics, and engineering to understand ancient, phenomenological observations in metallurgy and mineralogy. Chemical production is expected to barely grow faster than in 2016. 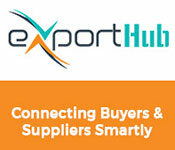 In general, the increase in production will remain modest against the backdrop of a sluggish domestic market. We expect competitive pressure on export markets to remain intense, even though the naphtha-based European chemical industry benefits more from low oil prices than the gas-based production in the United States. In the United States, we expect somewhat faster growth in chemical production, at just under 2%, as new production capacity, which will also be used for export, comes onstream. Overall chemical growth is likely to decelerate somewhat in the emerging markets of Asia, mainly due to the slowdown in China, which will affect the other developing countries in the region. In Japan, we presume a weak overall economic environment and minimal growth in chemical production. In South America, the anticipated end of the recession in Argentina and Brazil will result in slight growth in chemical production in the region. 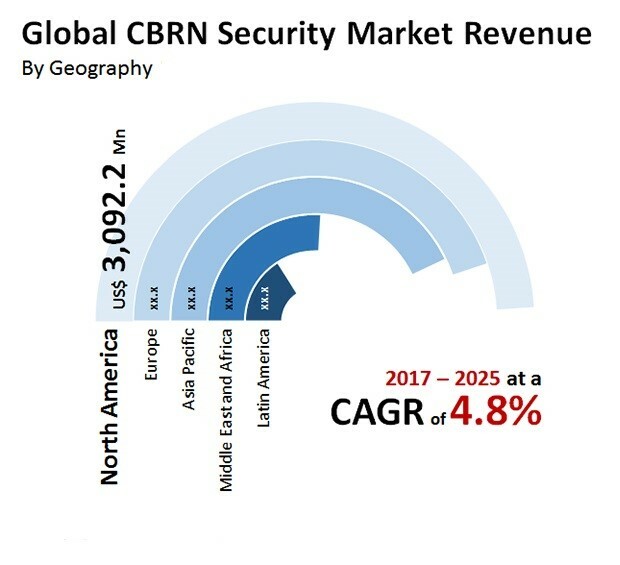 One of the key factors driving the CBRN security market is increasing demand for CBRN security in developing countries such as India, China, and Brazil among others. In addition, African nations are expected to continue spending incessantly on CBRN surveillance systems to mitigate rising CBRN threats such as Ebola in the regaion. With continual technological advancements and increasing research initiatives worldwide, new-age CBRN security equipment are launched that primarily focus on government organizations, military, and law enforcement agencies. 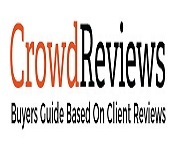 Transparency Market Research estimates the global CBRN security market to be worth US$15074.8 mn by 2025 increasing from US$9890.0 mn in 2016, expanding at a CAGR of 4.8% between 2017 and 2025. Until a few years back, household care and personal care were the two primary segments exhibiting the demand for aroma chemicals. However, considering the latest research and development activities, the use of aroma chemicals has successfully penetrated medical and food and beverages industries. 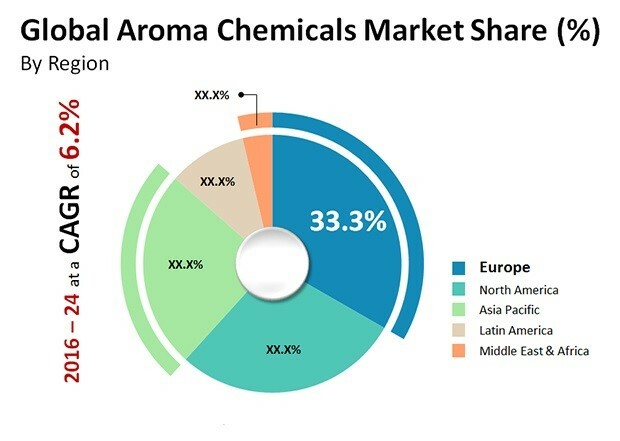 Spurred by this and efforts taken by the leading manufacturers to bolster product development and diversification, the global aroma chemicals market is forecast to exhibit a CAGR of 6.2% between 2016 and 2024. At this pace, the market’s valuation is expected to reach US$6.57 bn by the end of 2024. In 2015, the market was valued at US$3.85 bn. 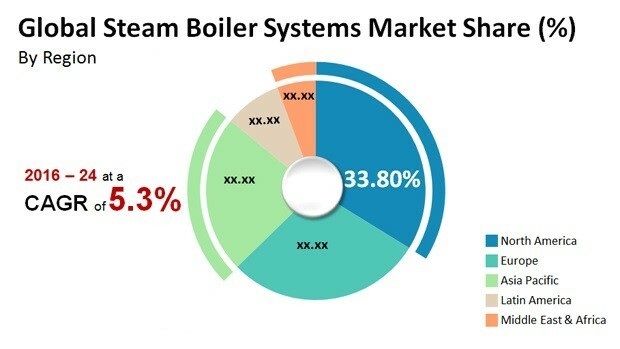 In 2015, the global steam boiler systems market stood at US$12.0 bn. 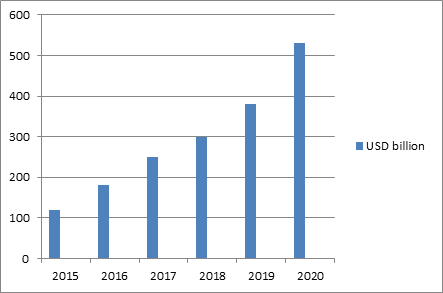 The opportunity in this market is likely to expand at a CAGR of 5.30% between 2016 and 2024 and is expected to reach US$18.9 bn by the end of 2024. Thanks for attending Chemical Engineering 2016! Another Chemical Engineering Conference has been successfully completed - and we must say Thanks to the attendees, Hilton Atlanta Airport Staff, and the Organizing Committee, Ad-Sponsors & Media partners and everyone else that helped to make this International Conference and Exhibition on Chemical Engineering with the theme: Emerging technologies and scientific advancements in Chemical Engineering and its Applications a successful conference. We hope that you obtained the kind of advance technical information in the arena of Chemical Engineering that you were seeking, and that your role in the field has been enhanced via your participation. We hope that you were able to take part in all the sessions and take advantage of the tremendous advancements in Chemical Engineering that scientists are working with.